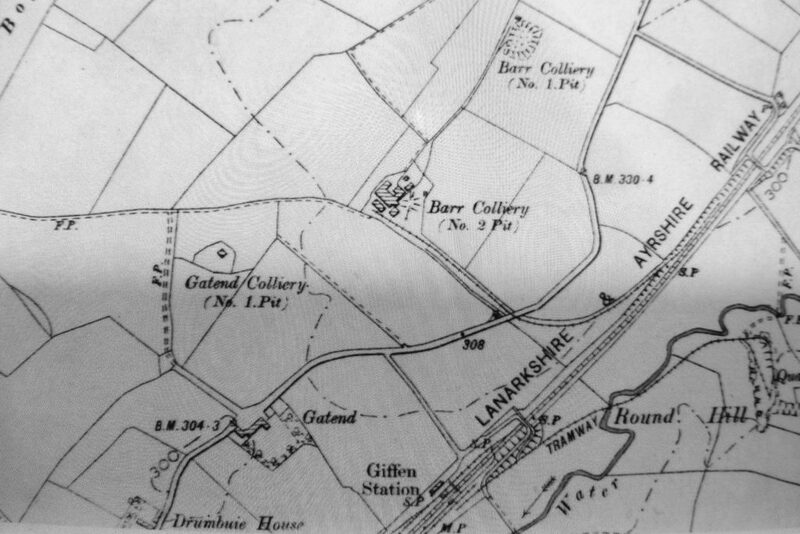 1895 Map of Barrmill Collieries. They were all closed by the time of the 1910 map. Today’s un-surfaced, bumpy farm road in front of you was once the main 18th century road from South Barr to Nettlehirst farms and a route for horses and carts. Roads of the day were simply made from rock. It wasn’t until the 1920s that tarmacadam roads started to be built for the steadily increasing numbers of cars and other motorised transport. In the fields beyond the defence munitions fence behind you and over to the left, were once a number of late 19th century collieries and pits. These pits employed around 30 men and were worked on and off for about 20 years. The Defence Munitions base began in 1942 and expanded considerably throughout the 1950s and 60s ‘Cold War’ period as a storage depot for naval weapons and explosives. 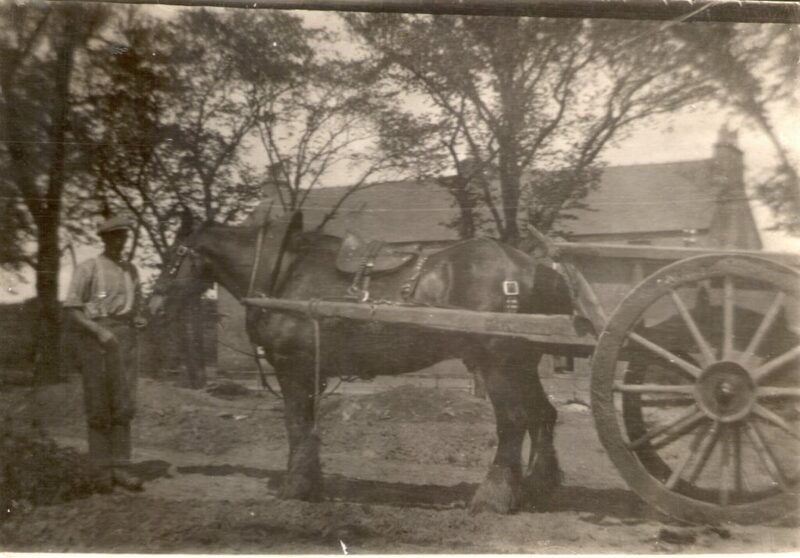 North Barr Farm (pictured above) with Jacob Anderson (carter) in 1920s. 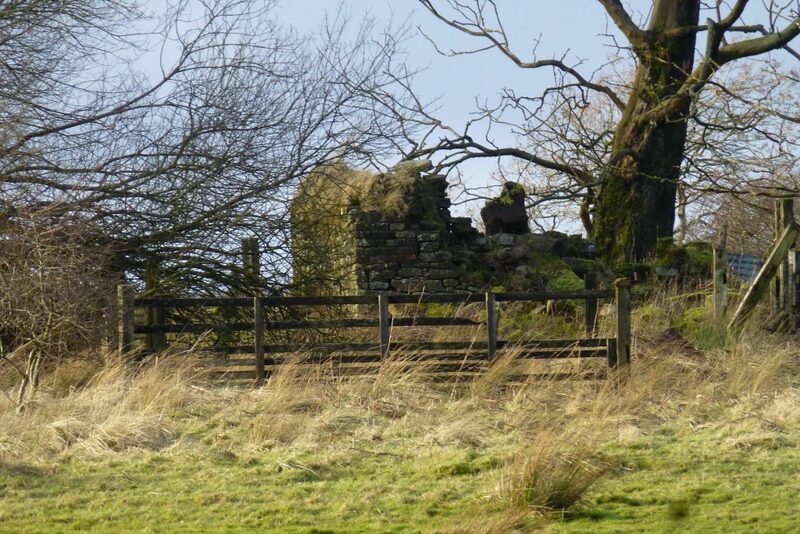 Now a ruin within the Defence Munitions fence.